The office supply section of the local pharmacy has a nasty habit of extracting money from my wallet. You'd think I could easily fix this problem by avoiding that aisle, but nearly every time I'm at the pharmacy, I'm convinced that I need to buy some mechanical pencils, and perhaps some sticky notes, too. Some of what's going on here is my personal affinity for office products, but my growing collection of highlighters also reflects a universal problem: the inability to resist impulse buys. 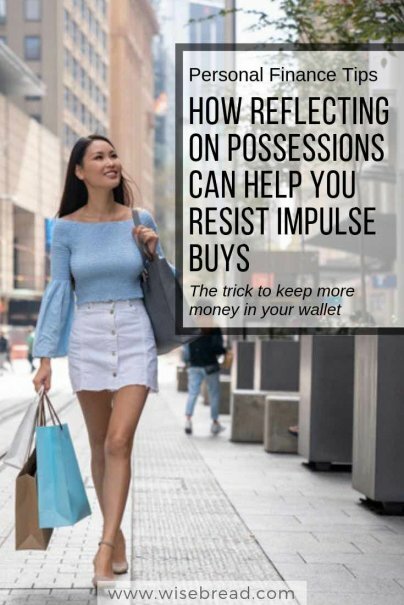 But according to a 2018 study from Rice University, an easy and free way to keep yourself from making impulse buys is simply reflecting on the items you already own. "I just purchased a Kindle Fire. It is black. I can read books and access the internet. It opens a world of novelty to me. I read a book in bed and checked the weather this morning before even getting up. I spent about 45 minutes. I also downloaded several apps. I was lying down and the ease of Kindle use allowed me to comfortably read without noise to wake up my partner." The "recently used" aspect of this thought exercise seems to be the important factor in helping to reduce your interest in spending money on something new. A second group of participants was asked to make a plan to use items they already owned but had not used in some time, while a third group — the control group — was asked to do nothing. So why did the planning group see their willingness to spend money increase? Logically, it would seem that thinking about all the unused stuff you already have would be enough to pump the brakes on an impulse buy. After all, why spend money on something new when you have things already collecting dust at home? However, buying something on impulse is, by definition, an emotional decision. So trying to counter that urge with a logical response is unlikely to work. It would be like trying to fight a fire with a single ice cube. Instead of trying to talk yourself out of an emotional decision using logic, you need to counter it with another emotion. In particular, gratitude has been proven to reduce impulsive urges. According to a 2014 study published in Psychological Science, participants who were prompted to feel grateful showed a reduced level of impatience in waiting for a financial reward. What's likely going on here is the fact that impulse purchases are often an attempt to fill some sort of emotional void. My purchase of a new pen is not really about the pen itself, but the momentary thrill I feel at having something new. That thrill keeps me from feeling low or bored or frustrated, however briefly the emotional boost may last. But gratitude is a nourishing emotion. It is difficult to feel an emotional void when you're reflecting on how full your life is and how glad you are to have what is already yours. Within this context, it makes sense that the Rice University study participants thinking about a recently-used item they already owned were less inclined to spend money. Intended or not, they were given an opportunity to feel grateful for an item they already had, which lessened their interest in spending money on something new. When and where you bought it. When you used it last. What you enjoyed about using it.